In order to successfully grow your business online you have to understand how it currently performs. One of the first things eMagic does is setup website analytics and conversion tracking for your website. This enables us to immediately identify areas to improve upon, and provides a baseline to measure the effectiveness of your campaign. This information combined with accurate traffic data helps us to optimise your campaign, maximise your conversions, and generate more revenue. A large majority of issues faced by websites relate to coding. These can severely affect the search engine performance of a website and even cause your site to be penalised. eMagic setup Webmaster Tools to uncover any HTML issues that need to be addressed immediately. We also identify duplicate content issues and provide fixes for these. Once the on site issues have been fixed we create a custom XML sitemap that we upload to Webmaster Tools. This is the best way to ensure every page of your website is found and indexed. 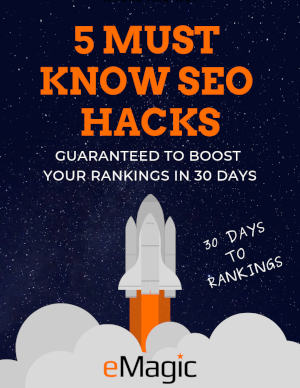 Do you want to see the exact ROI your SEO campaign is generating your business each and every month? eMagic put together customised reports that track the performance of your website down to the last visitor, keyword ranking and most importantly dollar. The reports are easy to digest and best of all are customised to provide only the information you really want. We also provide you a report summary that highlights the previous month’s results. We understand search engine optimisation is a long term process where there is always room for improvement. This is why each month we continue to provide further recommendations, insights and feedback on how to maximise the performance of your site. Transparency is one of the keys to our success and ensures you know exactly what our focus is for your campaign each month. This holds us accountable for delivering on our promises, and ensures you always feel in full control of the SEO for your business website.